23 Jan What is Affiliate Marketing and how does it Work? You’ve probably heard of the phrase “Affiliate marketing,” more so if you’ve been looking for a passive way to make money online. So what’s an affiliate program? An affiliate program, also known as affiliate network is a digital form of marketing which involves a seller/distributor/merchant paying a party some commission to a website owner to help them market their products. In this case, the websites owners are called affiliates. 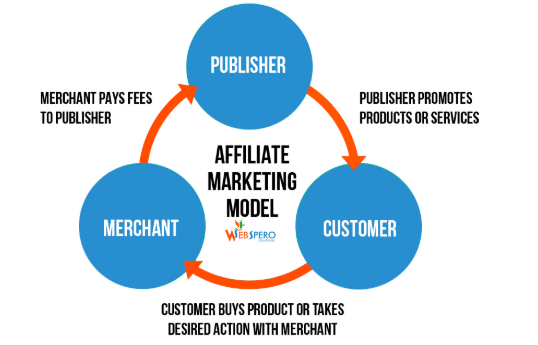 Affiliate marketing is performance-based; the affiliate earns when visitors on their websites click on the affiliate link and consequently make a purchase on the merchant’s website. So, the affiliate is only paid when his or her promotional efforts lead to a transaction on the merchant’s site. There are many affiliate marketing companies out there which sell a wide range of products ranging from household goods, commercial equipment to heavy-duty machinery. There are also many individuals who are into affiliate programs. If you are new to the idea of affiliate marketing and wondering how to start affiliate marketing; you just clicked the right link. We made this affiliate marketing for beginners’ guide to help people like you understand what this form of marketing is and how affiliate programs work. To get started with affiliate marketing, create an account by signing up for the free affiliate program on an appropriate platform. Amazon has the highest number of signups. Once you sign up, you will be provided with an affiliate link. Once you have the link, every time you write a product description, you can use this special link to recommend your merchant’s products to your readers. Based on your recommendation, your readers may like the product and opt to buy the product from your merchant. When the transaction goes through successfully, you will get a commission, instantly. The more successful referrals you have, the more you’ll earn in commissions. Different affiliates have different terms and conditions, so it’s prudent that you read the TOS before you become an affiliate marketer. Best affiliate will have their offer stand for at least two months cookies period. Meaning that if a reader clicks on your affiliate link from your website to your merchant’s site and makes a purchase within two months, you’ll still get your commission. If this is your first read on affiliate networks, it may sound and seem like a hoax. Affiliate marketing still looks like a mystery to many would-be-affiliates, and many merchants are still skeptical about it. Only a few companies treat affiliate programs with the same seriousness they would accord other conventional forms of marketing. That’s okay because fear is a defense in business. There are a few cons to affiliate advertising, and that’s the only reputation of affiliate marketing that some merchants know of. Such marketers have a pre-set mind that affiliates are scams which they steer clear of. Affiliate marketing is a web-based business strategy that connects customers to products or services. Therefore, if you are an affiliate, you will have to publish some posts on your website with the intention of converting your readers into customers. Research on the products to promote on your websites: Find offers. 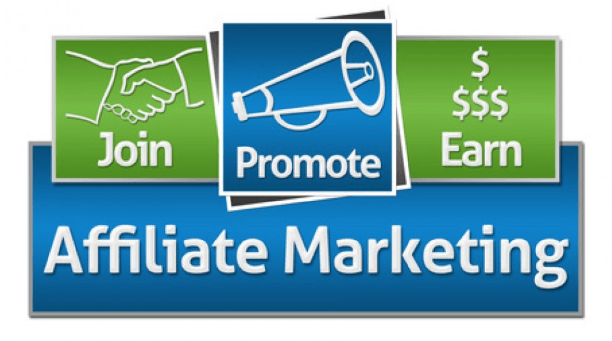 Optimize your affiliate program so that it becomes profitable. The truth is; affiliate marketing is not a walk in the park. It calls for consistent hard work and determination because it is highly competitive. This form of marketing can be a massive investment in off-brand marketing. If appropriately managed, affiliate marketing constitutes up to 20 percent of a company’s online revenue. Companies are starting to appreciate affiliate programs for their effectiveness and integrating it with their traditional marketing channels. Affiliate marketing is definitely one of the easiest ways to make money online. Affiliate: An affiliate is a page owner who has signed up for an affiliate program and received an affiliate link, and is using the link to promote a merchant’s products. Affiliate Software: This is an application which is used by affiliate companies to generate an affiliate link, and to monitor the performance of the link for their products and services. The affiliate marketplace: These are large data centers where records of affiliate programs are kept. These databases help with tracking the performance of affiliate programs. A good example is the Clickbank affiliate network. Affiliate link: This is a connection to an affiliate website which you can click on to see the performance of your affiliate marketing. Payment mode: This is a means by which your affiliate program sends you your commission after a successful transaction. They may send it via a direct transfer to your bank, a cheque or via PayPal. Affiliate Manager: The affiliate manager is also commonly referred to as the OPM. This is a professional in affiliate marketing who’s hired by the affiliate company to help affiliates earn more commissions by teaching affiliates how to optimize their contents. Affiliate ID: Though similar to the affiliate link, the affiliate ID is also added to any page promoting a merchant’s products. It’s merely for affiliate identification. Tire affiliate marketing: This is an excellent way to make commission online selling a product via the affiliate program. With this program, you invite other willing parties to join the affiliate program. When they enter the program, you earn a commission. Commission amount: Commissions in affiliate programs are calculated as a percentage of the sales made as a result of an affiliate’s promotional efforts. Affiliate Landing Page: This is a marketing page where all the primary content and demo of how a product works are published. A landing page helps with conversion of readers into customers. Custom income: A custom affiliate income or a custom affiliate account is a unique affiliate account made by merchants for affiliate marketers with the most effective promotional pages. Unlike free affiliate networks which anyone can sign up for, these accounts are specially made by affiliate companies for best-performing affiliates. An affiliate is a platform where you can publish some content about a product. It could be a website, a social media account, affiliate blog, or a social media page. The affiliate is where you post some engaging content which introduces your readers to the merchant’s products. You’d write a stand-alone review of the products on write reviews of different affiliate products on your affiliate page. The main aim of publishing contents on the page is to promote the products. If they like the product, they will click on the affiliate link and land of the merchant’s site where they can make a purchase. Therefore, online affiliate marketing is all about driving readers to the merchant’s where they can make a purchase. Initially, the affiliate business used a special affiliate coupon. If a visitor liked a product and wanted to buy it, the affiliate would give the visitor a unique coupon code to use when making a purchase. The affiliate was only paid if the code was used to make a purchase. Affiliate marketing is performance-based. Your earnings are proportional to the sales you make. This makes affiliate marketing a very reliable and has a better return on revenue than other pay per click marketing strategies. With this form of marketing, the merchant only pays a commission for actual sales made not for visits on the merchant’s page. This makes affiliate marketing networks more advantageous than other online marketing channels like pay per clicks where companies spend much money without getting actual clicks. However, if different affiliates are involved in the promotion of the same product there could be conflict and processing of the affiliates’ commission may get complicated. Some cunning affiliates may jump into a trade and claim a customer who was brought in by another affiliate. To avoid this, make money with affiliate marketing more peacefully using a unique affiliate customer coupon which easily shows proof of who brought the customer to the merchant’s page. An affiliate marketing network is a connection which facilitates the management affiliate programs. While a few affiliate programs stick just a single network for managing their affiliate marketing, there’s a growing trend on use of a combination of best affiliate networks to develop the biggest affiliate network. There are many affiliate management companies out there. However, some merchants choose to manage their affiliate programs by themselves using an in-house management department while others outsource affiliate management services. Outsourced affiliate management is referred to as outsourced program management (OPM). The affiliate manager signs up new affiliates, generates affiliate links for affiliates, advises affiliates on how to optimize their websites to improve conversion, tracks their promotion efforts, and pays them for successful sales. How much money will it cost me to join an affiliate network? Besides the costs involved in setting up your affiliate website and the promotion techniques you’ll use to ensure that the site rises through the ranks, there are no charges involved in joining an affiliate network. What are the qualifications I need to become an affiliate marketer? There’s nothing much for qualifications to become an affiliate marketer. If you can drive a computer, have a network communication and can research, and publish articles on a website you are good to go. If you don’t, you can pay someone to create the web contents for you. How much can I make with affiliate marketing? The truth is, affiliate marketing presents you with a blank cheque. You can write anything on that cheque and cash it. Many affiliate marketing for beginner’s guides will tell you that you can make a few thousand dollars in commissions, but I don’t buy that line of thought. You can make a lot more with affiliate marketing if you know how to go about converting readers into customers. As the case with other real-life businesses, if you put in a lot of time and efforts into the marketing, you will drive traffic into your website, and you will convert many readers into customers. However, if you give it only a few hours a day, you might not make much money from affiliate marketing. You don’t need huge capital investment to start. The startup costs are relatively lower than for any other business you’d consider. If you were to start an alternative business, you’d start by renting an office space or a retail store, then buy some assets and stock inventory to get started. With affiliate marketing, you can get started with the cost of your lunch. You won’t have to hire staff. This takes care of a lot of confusion, noise, office politics and payrolls you’d have to deal with because you can do everything by yourself. You don’t need a service or product to sell. All you’ll be doing is promoting other people’s products. You don’t need any training to be an affiliate. Maybe just a little. You’d Google “how to become an affiliate marketer” or find something to read on “affiliate marketing programs for beginners,” and you’ll be good to go. It’s a passive source of income; all you have to do is develop a platform which sells the right products to the right people, and you’ll be earning commissions when they make purchases. You work at hours that are most convenient for you. You can either become a merchant or the affiliate. To get everything right the first time; do in-depth research on your niche—choose an idea that will sell quickly to your target market. If you can, create and grow an email list of potential customers. Create webinars and insightful blog posts with affiliate links, and send links to these resources to their email addresses. Also, share these resources widely on the internet. Grow your affiliate with some PPC advertising. Did you find this piece informative? Do you still have questions on affiliate advertising? Feel free to reach out to us, and we’ll be happy to help you. At Naked Media, we’re a leading full-service business development agency based in South Florida. We specialize in conversion-based web design and development, Exclusive Lead Generation, SEO, PPC, Branding, analytics, and engaging social media campaigns. © 2018 Naked.Media — All Rights Reserved.